Home heating is deemed as a necessity for years. Nobody wants to be cold in the winter right!? 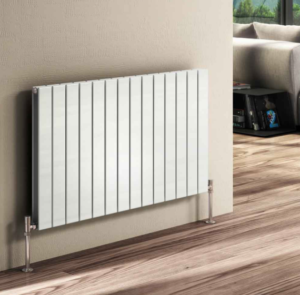 Hence, it is not surprising to see radiators that are designed in the most practical means; just enough for the item to perform and deliver what it is made for. But, the time has changed. People now are after not just practical products. What people are looking for now are products with use that can be fully optimised. We want design too! With the ease of installation nowadays, it is one of the best options you have in terms of providing the needed warmth a room requires. But aside from keeping a room warm, it can also effectively serve as a feature in any rooms. They look beautiful!! Hence, with a vertical radiator you can expect to benefit from two things. First it provides the needed source of heat and second, you gain an instant feature you can use as a focal point of your room’s design. 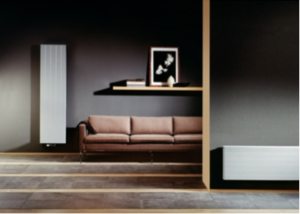 A vertical radiator is an example of a modern radiator type and normally the one that most customers decide to go with these days. Vertical radiators easily fits into any compact spaces while ensuring a good source of heat and of course they look so modern. This is one advantage that a vertical radiator has over the horizontal type. Although still convenient in space, horizontal is more likely take up too much space. As such, it will be easy for a portion of it to be blocked by some furniture. But this is not an issue with the vertical type for it is extremely narrow in design. Kitchens and bathrooms are known for having small wall spaces or featuring just enough space for homeowners to move around. So if you want to keep this part of your home always warm, you will need a radiator that can fit with these areas’ compact space. 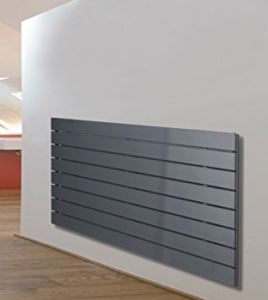 A vertical radiator features a narrow design making it an ideal option for installation in these areas. That is, as long as your home does not have low ceiling. 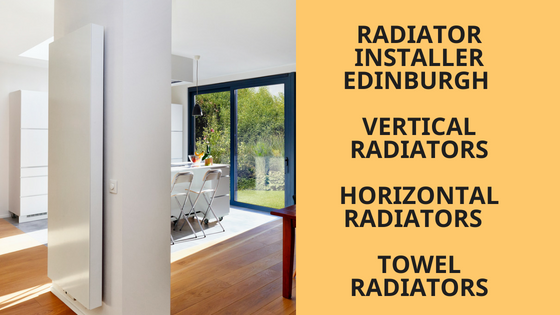 Apart from these benefits, vertical radiators are also a good option if you want to give the interior of your home a futuristic look. And although this form of radiator works excellently in keeping a room, there are still some actions you need to take. Where it should be placed to ensure optimal distribution of the heat is just one thing you need to consider, which a professional installer can help you with. If you are looking for a vertical radiator installed in your property then get in touch with us today, we can normally fit them within 3 days on enquiry depending on stock availability. Radiators nowadays no longer feature the boring look. 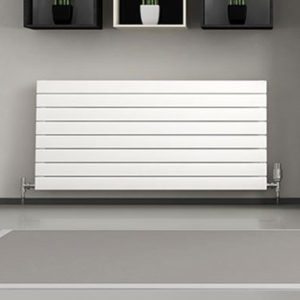 With various panel options you can be sure to have horizontal radiator still look and feel modern in your property. So, if it is about choosing a radiator, you don’t have to settle for the plain-looking ones anymore. Instead, use this opportunity to upgrade your home’s interior by exploring the wide selection of radiators available today. Horizontal radiators feature a size that stretches out in more than a few feet. Its design also makes it possible for homes or spaces to receive the most of heat output. Such fact is also the reason why it is commonly installed beneath windows. Placing them underneath windows helps in countering the cooler air temperature found there. The item is also typically installed beneath windows is to prevent taking up so much wall space in a room. From the two options – horizontal and vertical – it is the former that requires careful evaluation in terms of placement. That is because the placement of furniture can easily intrude on its performance. Hence, it cannot be the ideal option for your home if there is not a good place where it can be installed, somewhere where the heat it provides cannot be blocked. This is a vented device typically installed by homeowners in their homes to heat not just their towel but the bathroom and entire room as well. You can stay warm and use dry towel without having to spend a great sum of money over your electric bill. Apart from the fact that it comes with unique design, this is reasonably priced as well. Anyone can able to make use of this item since this is very affordable and convenient. Adds great value to your bathroom. When purchasing towel radiator, you need to make sure that the item can satisfy your taste and need. First, you need to mull over if you need to electrical or hydronic type, you also need to consider the size and heating approach it uses. Finally, you need to set your budget since this will give you the final go. Make sure to conduct research of the best towel radiators to avoid irrelevant investment. You can read online product reviews since customers provide honest and based on experience stories. This is one of the reliable sources of information that will help you come up with the best purchasing decision.